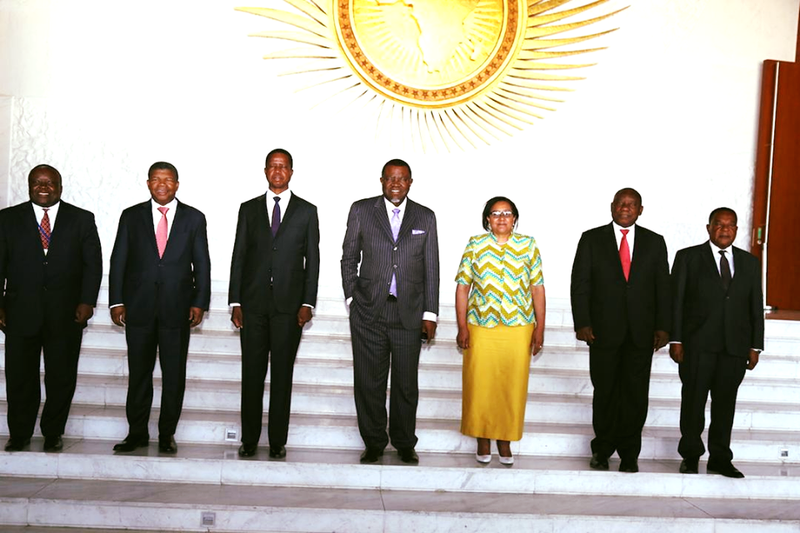 Heads of state and their representatives attending the Double Troika Summit of the Southern African Development Community in Addis Ababa to discuss the situation in the Democratic Republic of the Congo in the aftermath of the historical national elections, called on the international community to respect the sovereignty of the country and on the people to respect the electoral process in the name of peace and harmony. After wishing all the representatives to the Double Troika Summit a happy and prosperous New Year, the President of Namibia, Dr. Hage Geingob, in his capacity as Chairperson of SADC officially opened the event and said many of the countries are in an election year an because of that, parallels should be drawn with the Year of Accountability declared in Namibia. “An election has taken place in the Democratic Republic of Congo, where the government was being accountable to the People of the DRC. The DRC is at a crossroads. The announcement on 10 January 2019 by the Independent National Electoral Commission (CENI) has raised hope, especially among the people of the DRC. As in any election, it has also raised fears among some quarters of the Congolese people. Fear that they might be left out; hence the challenge in the Constitutional Court of the DRC. Our task therefore, is to assist our brothers and sisters in the DRC to manage and reconcile those fears and aspirations. All of us have been inundated with expressions of interests, by other global players. The people of the DRC are waiting and the world is watching,” Dr. Geingob said. Dr. Geingob said that it is against this background that he as Chair of SADC, decided to call for the Double Troika Summit. President Geingob said the fact that the DRC has held relatively peaceful elections is in itself a success and he commended President Joseph Kabila for having kept his word and creating a conducive atmosphere for the holding of the elections in the DRC. The summit was attended by Double Troika Heads of State and Government or their representatives. Besides Dr. Geingob and amongst others, the Angolan president, João Lourenço, Out-going Chairperson of the Organ on Politics, Defence and Security Cooperation, the South African president, Cyril Ramaphosa, Out-going Chairperson of SADC, the Zambian president, Edgar Chagwa Lungu, Chairperson of the Organ on Politics, Defence and Security Cooperation, Dr. Augustin P. Mahiga, the Tanzanian Minister of Foreign Affairs and East African Co-operation, representing the in-coming Chairperson of SADC and the Ambassador of the Republic of Zimbabwe to the Democratic Republic of Congo, Mr. Raphael Faranisi, representing the In-coming Chairperson of the Organ on Politics, Defence and Security Cooperation attended the summit. The summit was also attended by the Executive Secretary of SADC, Dr. Stergomena Lawrence Tax. The summit was also briefed by Leonard She Okitundu, Deputy Prime Minister and Minister of Foreign Affairs and International Co-operation of the Democratic Republic of Congo. During the summit representatives reviewed the political and security situation in the Democratic Republic of Congo (DRC) following the Presidential, Legislative and Provincial Elections that were conducted in the country at the end of December 2018. Attendees to the summit congratulated the Government of the Democratic Republic of Congo and Independent National Electoral Commission (CENI) for organising and conducting generally peaceful elections, notwithstanding some incidences and the logistical challenges, coupled with the impediments brought about by the devastating Ebola outbreak and security insurgencies. They also congratulated the Congolese people and all Political Stakeholders for ensuring that the elections were conducted in a peaceful manner. The summit encouraged the Government of the Democratic Republic of Congo to continue with maintaining peace and security in the country and advised that due to the outbreak of the Ebola Virus in Beni and Butembo areas, combined with security challenges, Legislative and Provincial elections postponed to March 2019 in Beni, Butembo and Yumbi should go ahead as planned. With regards to the election petition filed in the Constitutional Court of the DRC challenging the provisional results of the Presidential Election the Double Troika called on all the Congolese people and all the concerned political stakeholders to remain calm and act in a way that will consolidate democracy and preserve peace, and to address any electoral grievances in line with the Democratic Republic of Congo’s Constitution and relevant electoral laws. 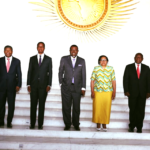 The Double Troika called on the international community to respect the sovereignty and territorial integrity of the Democratic Republic of Congo in accordance with the AU Constitutive Act, and the SADC Treaty. The convened representatives underscored the role of the Constitutional Court of the DRC and called upon the international community to respect the Constitution of the Democratic Republic of Congo and the internal legal and political processes for the finalization of the electoral process. They also called upon the international community to support the Government of the Democratic Republic of Congo to maintain a peaceful and stable environment following the landmark elections, and avoid actions that are prejudicial to the electoral process. The Double Troika reaffirmed its commitment to continued support to the Democratic Republic of Congo’s political processes, and with respect to neutralizing the negative forces and other armed groups operating in Eastern Democratic Republic of Congo. The convened representatives conveyed their appreciation for the support rendered to the SADC Electoral Observation Mission (SEOM) by the Government of the Democratic Republic of Congo and the United Nations Organization Stabilization Mission in the DRC (MONUSCO). The Double Troika representatives also commended and thanked President Geingob, Chairperson of SADC for convening the summit.